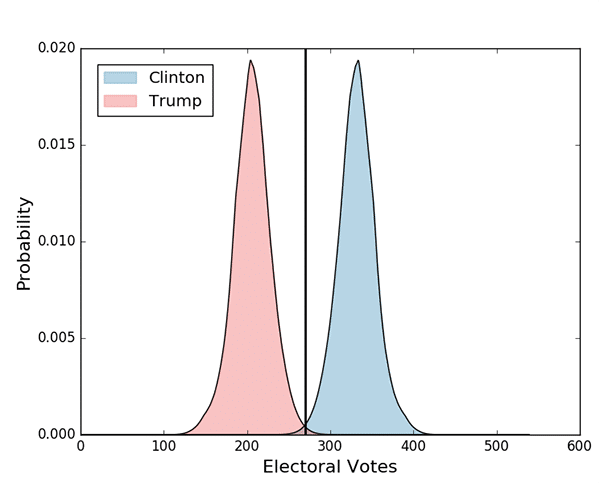 The image below shows our current estimates for the electoral vote distributions for Clinton and Trump. 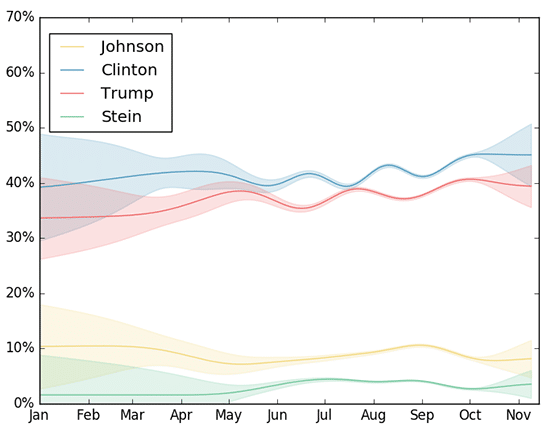 As you can see, according to our model, Hillary Clinton is currently an overwhelming favorite to win the election. If you’ve been following our predictions for the past 2 weeks, you might remember that the big shift happened after the first debate from last week. We are currently preparing a very interesting plot that is going to show the evolution of candidate win probabilities in time. Stay tuned!